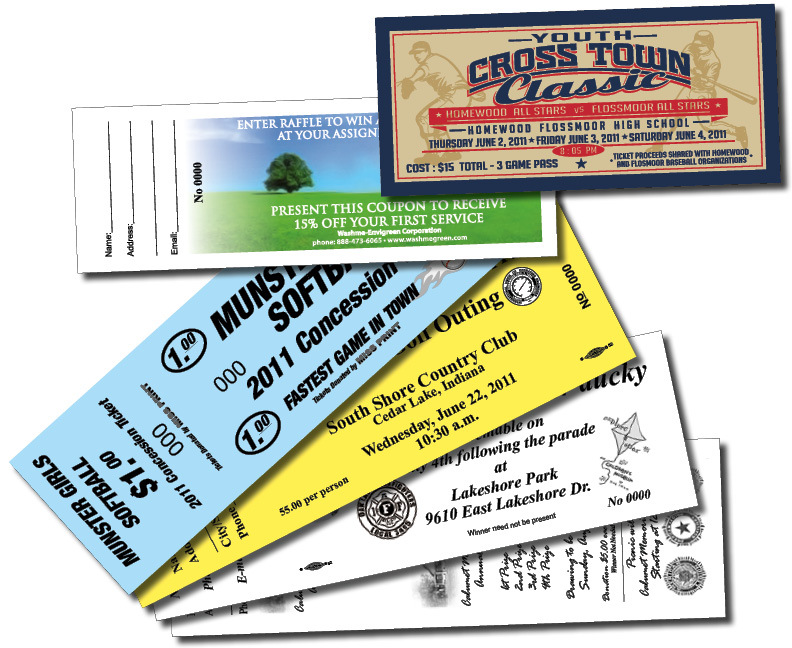 Get sales on a roll; print raffle tickets in full color with high quality printing. Drawing attention is the first step towards making your fundraiser a success. Create eye-catching tickets and you have a real prize winner that drums up sales. Add a prize to your event to drum up further donations for your cause. Combine with a banner to help increase sales. Numbered raffle tickets and anti-counterfeit bar codes add security. Perforated ticket stubs make it easy to keep track of ticket sales. Booklet stapling helps your sales team stay organized. Numbering will help you keep track of sales and profits for your event. Full color to create a dramatic effect or simple black to keep within a budget.